Performance-based training is the emerging trend in training departments of organizations. These top 10 tips to do performance-based training will help implementation of such easier. For those who are unfamiliar with performance-based training, these top 10 tips to do performance-based training will greatly improve the efficiency of implemented training programs. Keeping these tips in mind will surely bring much advantage for any business. 1. 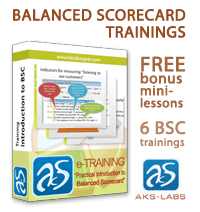 Define and provide clearly stated training performance objectives. This is necessary in order for both training instructors and training participants to know what is expected from them in order to achieve these training objectives. 2. Determine the specific needs of learners. To fully optimize all cents spent for training, the skills and competencies taught in these training programs should make the learners more efficient and effective in their jobs. This brings positive results, as higher profitability can be attributed to higher employee productivity. 3. Ensure that practice and feedback are included in a training program. Practice and feedback are necessary in order to provide room for improvement. Moreover, this will allow learners to make clarifications for them to gain better understanding of the training material. 4. Allow learners to display or demonstrate skills or competencies learned before end of training. Practicing newly acquired skills during the course of the training will help ensure that learners will gain mastery of new skills. 5. Have a better understanding of organizational goals and objectives. Before designing a training program, make sure that training activities are aligned with organizational objectives. Moreover, training investments should have high applicability and appropriateness ratios. 6. Be thorough in evaluating and assessing training requests. Consider only those requests that will produce the most impact to the organization and its employees. 7. Make sure that the Training Department is adequately staffed to meet the training needs of the organization. The number of training instructors should be proportional to the number of employees in the organization. This way, a desirable instructor to student ratio is maintained. 8. Regularly assess the competence of training instructors, including their knowledge in using analytical procedures and tools. Since training instructors are the source of new skills and competencies, it is necessary that their performance should be regularly assessed and monitored. Through the quality of their training performance, training success can be determined. 9. Consult with key business partners in order to supply needed training support. Training programs should be consistent with the overall objectives of the organization. To clarify which training needs are deemed more immediate by management, consultation should be done. 10. Keep a thorough documentation on training programs implemented. These records could be used as basis for future training investments. In addition, training managers could improve their training programs based on what went wrong with past training activities.